Birth 15 October 1815 Edward John Dunn was born on Sunday, 15 October 1815 at Sydney, NSW, AustraliaG. [S139] Perry McIntyre & Adele Cathro, Thomas Dunn's Descendants, page: 44. Birth 31 May 1818 Richard Dunn was born on Sunday, 31 May 1818 at Sydney, NSW, AustraliaG. [S139] Perry McIntyre & Adele Cathro, Thomas Dunn's Descendants, page: 51. She was the daughter of Thomas Dunn and Rose Bean. Married Name 1823 As of 7 January 1823, her married name was Butler. From New Zealand, on Tuesday last, having sailed from thence on the 27th ultimo, the brig Nimrod, Captain Bennett, with sundries. [S108] Mark Maling, "Ann Dunn & William Wright," e-mail to Robert Mote, January 2000, record: 0. [S2] Index of BDM records, NSW BDM, Registration - Place: Parramatta, St John's C of E; Year: 1838; Number: V18381762 22. [S139] Perry McIntyre & Adele Cathro, Thomas Dunn's Descendants, page: 39. Birth 5 October 1809 Margaret Dunn was born on Thursday, 5 October 1809 at Sydney, NSW, AustraliaG. Marriage 16 May 1825 Margaret was married to Walter Butler, son of Laurence Butler and Mary Ann Fowles, on Monday, 16 May 1825 at St Marys Catholic Church, Sydney, NSW, AustraliaG. Married Name 1825 As of 16 May 1825, her married name was Butler. 1828 New South Wales, AustraliaG Margaret Dunn appeared on the census of 1828 at New South Wales, AustraliaG. They are shown as living in Cumberland Street, Sydney. Walter is shown as a carpenter working for William French. 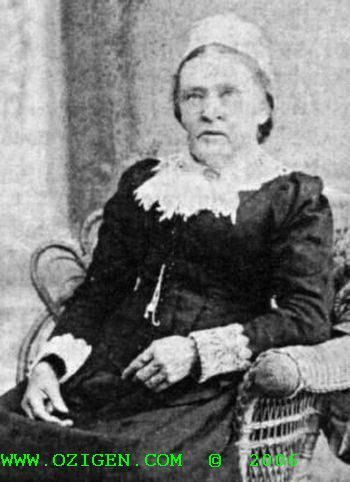 Birth 30 December 1811 Sarah Matilda Dunn was born on Monday, 30 December 1811 at Sydney, NSW, AustraliaG. Marriage 23 January 1826 Sarah Matilda was married to James Evans, son of James Evans and Elizabeth Dean, on Monday, 23 January 1826 at St Phillip's Church, Sydney, NSW, AustraliaG. Married Name 1826 As of 23 January 1826, her married name was Evans. [S139] Perry McIntyre & Adele Cathro, Thomas Dunn's Descendants, page: 63 & 150. [S4] M R Sainty and K A Johnson, NSW 1828 Census, 141. [S49] Lynn Smith, "Thomas Beane", Record #16. [S139] Perry McIntyre & Adele Cathro, Thomas Dunn's Descendants, page: 150. Death John Dunn died at AustraliaG. Birth 1808 He was born in 1808 at Sydney, NSW, AustraliaG. Marriage 1828 John was married to Jane Neal in 1828. [S138] Steve Ruston, "Janet T Spink," e-mail to Robert Mote, 21 May 2000, Page: 16. Name Variation 1821 As of 1821, Rose Maria Ellen Dunn was also known as Rosetta Dunn. [S139] Perry McIntyre & Adele Cathro, Thomas Dunn's Descendants, page: 53. [S2] Index of BDM records, NSW BDM, Place of Registration: Bega; Year: 1899; Number: 718. Birth 1819 Richard Baker Gilbert was born in 1819 at Plymouth, Devon, EnglandG. Marriage 30 October 1854 Richard Baker was married to Esther James, daughter of Samuel James and Ann Bean, on Monday, 30 October 1854 at St Matthews Church, Windsor, NSW, AustraliaG. He was the son of William Bean and Elizabeth Bradley. Marriage 5 February 1847 George Thomas was married to Mary Jane Steele on Friday, 5 February 1847. Baptism 18 June 1815 Elizabeth Bean was baptized on Sunday, 18 June 1815 at St Phillips Church, Sydney, NSW, AustraliaG. Burial March 1886 She was buried in March 1886 at Balmain, NSW, AustraliaG. [S2] Index of BDM records, NSW BDM, Denomination: Church of England; Parish: St Phillip's; Registration Year: 1815;Volume Reference: V1815437 7. [S2] Index of BDM records, NSW BDM, Place of Registration: Waterloo Year of Registration: 1886; Registration Number: 5770. Birth 1821 Martha Bean was born in 1821. Birth 30 April 1826 Mary Ann Bean was born on Sunday, 30 April 1826 at St John's Church of England, Parramatta, NSW, AustraliaG. Married Name 1848 As of 1848, her married name was Elder. [S2] Index of BDM records, NSW BDM, Parish of Marriage Registration: Sydney, St James'; Registration Year: 1848; Registration Number: V1848408 33B. [S2] Index of BDM records, NSW BDM, Place of Death Registration: Rockdale; Registration Year: 1920; Registration Number: 12244. Baptism 6 July 1828 Jemima Bean was baptized on Sunday, 6 July 1828 at St James Church, Sydney, NSW, AustraliaG. [S2] Index of BDM records, NSW BDM, Parish of Marriage Registration: Sydney, St James'; Registration Year: 1855; Registration Number: V18551026 43B. [S2] Index of BDM records, NSW BDM, Place of Death Registration: Waverley; Registration Year: 1910; Registration Number: 15985. Baptism 29 June 1817 William Bean was baptized on Sunday, 29 June 1817 at St John's Church of England, Parramatta, NSW, AustraliaG. End-Line William Bean has no known descendants. Burial after 28 July 1848 He was buried after 28 July 1848 at St John's Cemetery, Parramatta, NSW, AustraliaG, and his headstone reads "Fourth son of the Late Mr Bean who departed this life July 28 1848 aged 16 years." [S2] Index of BDM records, NSW BDM, Place of Registration: Sydney, St James; Registration Year: 1832; Registration Number: V1832482 16. Baptism 25 January 1824 Samuel Henry Bean was baptized on Sunday, 25 January 1824 at St James Church, Sydney, NSW, AustraliaG. Birth 28 July 1806 Susannah Marsden Hassall was born on Monday, 28 July 1806 at Parramatta, NSW, AustraliaG. Marriage 8 February 1827 Susannah Marsden was married to William Shelley, son of William Shelley and Elizabeth Bean, on Thursday, 8 February 1827 at St John's Church of England, Parramatta, NSW, AustraliaG. Death 29 August 1890 Susannah Marsden Hassall died on Friday, 29 August 1890 at Bowral, NSW, AustraliaG, at age 84. Married Name 1827 As of 8 February 1827, her married name was Susannah Marsden Shelley. Marriage 1820 Ralph was married to Lydia Fellows in 1820 at EnglandG. Death 1 September 1880 Reverend Ralph Mansfield died on Wednesday, 1 September 1880 at Parramatta, NSW, AustraliaG, at age 81. Burial September 1880 He was buried in September 1880 at Rookwood Cemetery, Sydney, NSW, AustraliaG. 1820 Reverend Ralph Mansfield was a passenger aboard The Ship Surry which sailed in 1820 and arrived in Sydney, NSW in September 1820. Occupation 1820 Reverend Ralph Mansfield was ordained as a Methodist Minister in 1820. Marriage 30 April 1867 George was married to Mary Ann Morrison on Tuesday, 30 April 1867 at Hobart, TAS, AustraliaG. [S2] Index of BDM records, NSW BDM, Parish of Registration: C of E, Parramatta, St John's; Year: 1813; Number: V18133171 1A. Married Name 1834 As of 17 June 1834, her married name was Dunn. [S76] Cobcroft Descendants, Record # 12. [S2] Index of BDM records, NSW BDM, Place of Registration: C of E Windsor; Year of Registration: 1815; Registration Number: V18153599 1A.